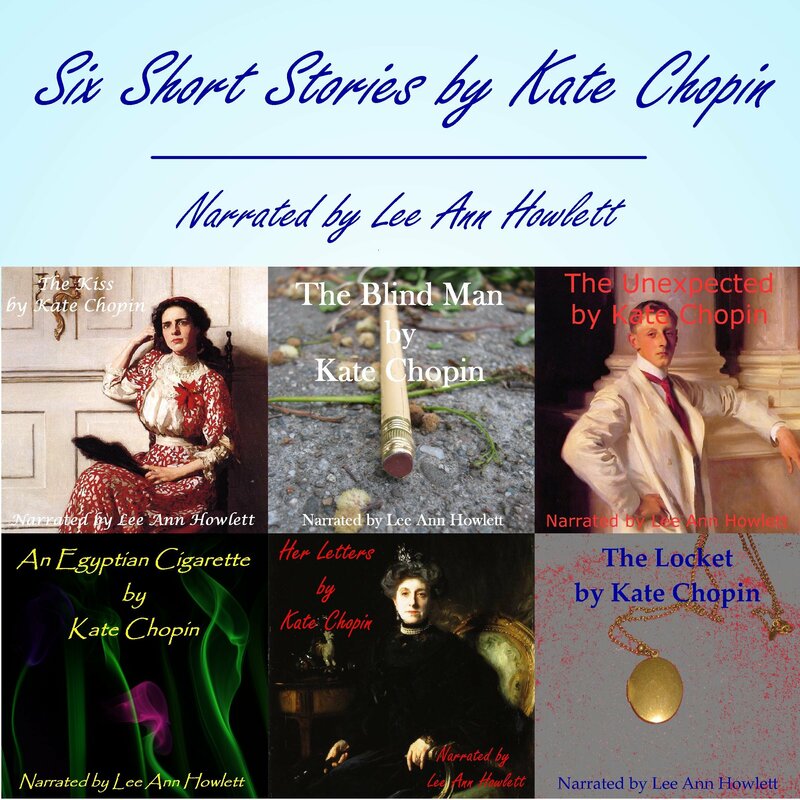 Six short stories by Kate Chopin that Lee Ann recorded individually are now available as a collection on Audible. Technically, the collection has two titles. Kate Chopin: Short Stories and Six Short Stories by Kate Chopin are both being used. Both are searchable on Audible. American Kate Chopin, now considered an early feminist, was a prolific writer of short stories in addition to two novels. Most of her stories were set in Louisiana, where she moved after marrying. Characters in her stories are as varied as her themes. Her use of irony and her ability to write so convincingly of characters from diverse backgrounds are hallmarks of her work. This collection includes “The Kiss”, “The Unexpected”, “An Egyptian Cigarette”, “The Locket”, “The Blind Man”, and “Her Letters”. To listen to the sample and or purchase the book from Audible, click here. Posted by lahowlett on December 23, 2015 in Uncategorized.